Two thousand years beyond our time, much has changed. Humans, forced to flee Earth after a nuclear holocaust, find themselves in the distant Seldova system. Here, they realize they are not alone. Metas, races of powerful beings, are also forced from their home after environmental tragedies. They come upon the same mecca of planets, beginning a decades-long war with the Humans for land and home. Humans and Metas, weary of fighting, come to an uneasy truce. They cannot co-exist with animosity and bloodlust running high, and together, they propose The Complex: a societal test consisting of two years of comfortable isolation, occupied by both Meta races and Humans. The enticement for those who agree to this co-mingling is enough money to live on for many years. But two years is a long time to live with your enemies. Wezlei, a Human, only knows about the old world from the books his father left behind. He dreams of a better life for his mother, who has surrounded him with love and safety all his life. He takes inspiration from the old tales of Robin Hood and embarks on a life of piracy to balance the unevenness of his world. In no one is this more evident than Tariq, a ruthless Dhampir whose cruelty is unprecedented. When Wezlei witnesses firsthand the horrors the Dhampir inflicts on his “wife” Aerwen. 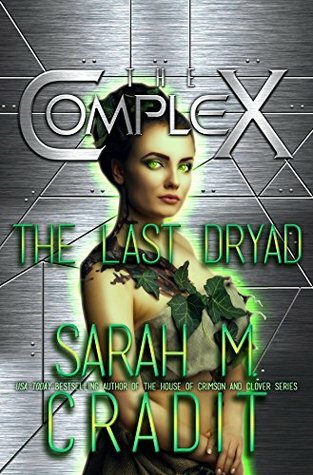 one of the last living Dryads whom he has enslaved, he can’t simply turn away. He learns they have signed up for the Complex, and decides he has no choice but to do the same. If you’re a fan of this author, you know the sci-fi path is a new direction for her, and one I’ve been looking forward to. The concept of this story is very appealing – different cultures/species forced to learn to live together after being driven from their respective planets. But Tariq is the epitome of intolerance and puts both MCs through horrific abuse. As characterization has always been a strength of this author (even with short novellas), feeling empathy for Wezlei and Aerwen is effortless for the reader. Although this is a sci-fi novella, the world-building is exceptional with the limited amount of space and if the author plans additional books for this series, it’s an exciting foundation to build on.